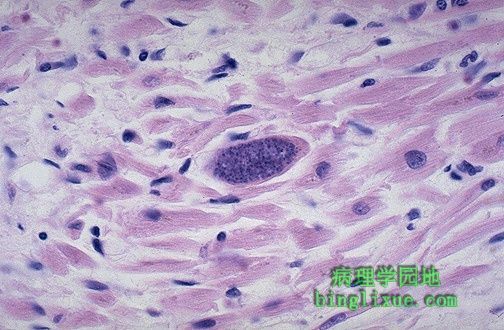 This is a Toxoplasma gondii pseudocyst in the myocardium of a patient with AIDS. Toxo is an opportunistic infection of immunocompromised adults. It may also be a congenital infection.